City of Bamberg during sunset. 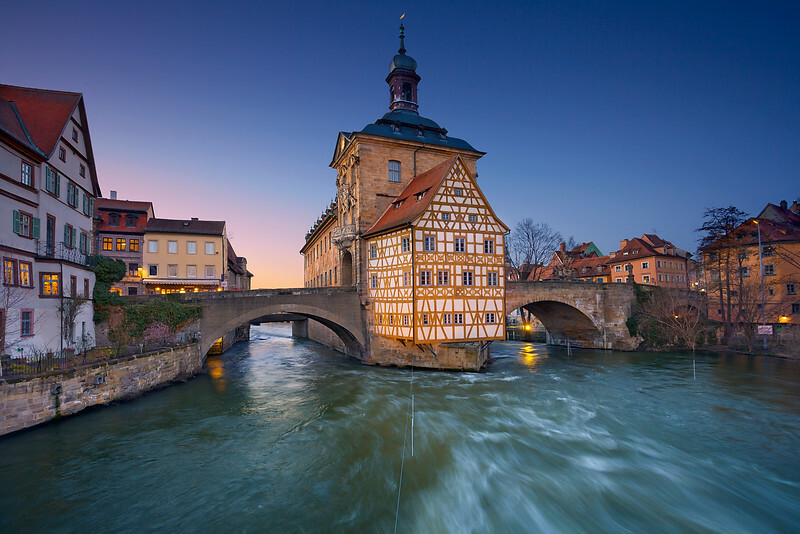 The Old Town Hall (1386) of Bamberg was built in the middle of Regnitz river. Two bridges connect it with the Old Town of Bamberg which is listed as a UNESCO World Heritage and famous for its medieval appearance.